This great ebook will show you over 100 ways to make money from home.What if i told you,you could make money from selling garden weeds!This idea can and has worked for making a very nice income for the young woman who did it,you can do it too!So be prepared to open your mind to the very real,very practical money making examples demonstrated in"make money at home" 102 ways to make money from home easily. If you've ever wondered how to turn your marketing into a money-sucking machine, then this is most important message you will ever read. Here's why... When was the last time you actually saw a so-called "marketing genius" in action? When have you seen someone truly solve marketing problems on the spot? Think about it: How many "gurus" have you witnessed actually doing their job as a consultant? An ebook covering fifty tips on buying a conservatory in the UK. No installation required. Contains its own browser. Very simple and easy to use. 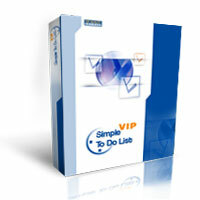 VIP Simple To Do List is an easy-to-use PDA software for you to quickly organize and effectively manage your daily tasks. It uses To Do List method to help you do more in less time. It is an organizer, planner, notepad and reminder combined in one powerful application. Use our software to organize, prioritize and track completion of tasks, manage household projects and events, plan your life for days, months and years ahead.